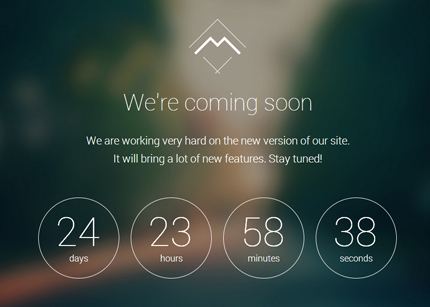 So, the Mira Coming Soon WordPress Theme was born to satisfy these needs. It comes with all the features of the Mira HTML Template (except the “Latest Tweets” section that I’ve removed), plus some “cool” animations and a powerful Options Page from where you can set it up in a few minutes and without touching a line of code. Below you can see all the features and a review of the Mira Options Page. 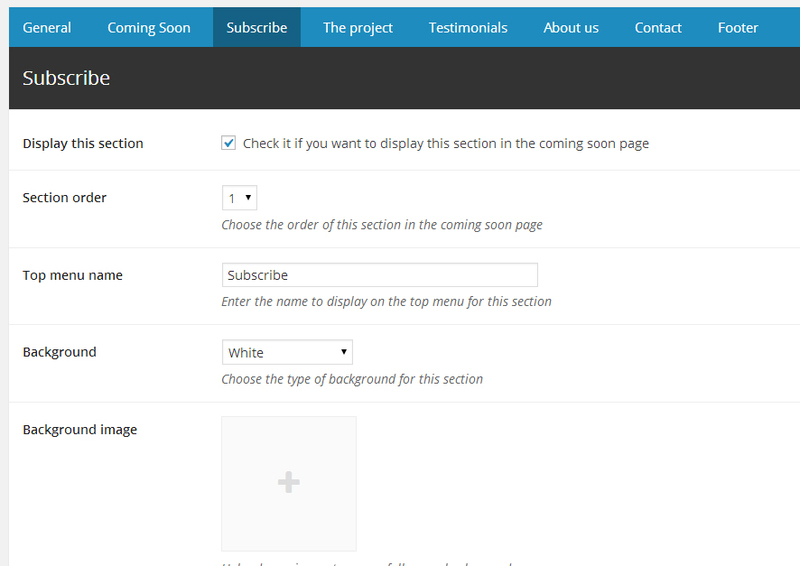 Set up your coming soon page without touching a line of code from the Options Page inside the WordPress admin panel. Learn how to do it in 15 minutes from this tutorial. I’ll assume that you already know how to install and activate a WordPress theme. If not, just let me know. 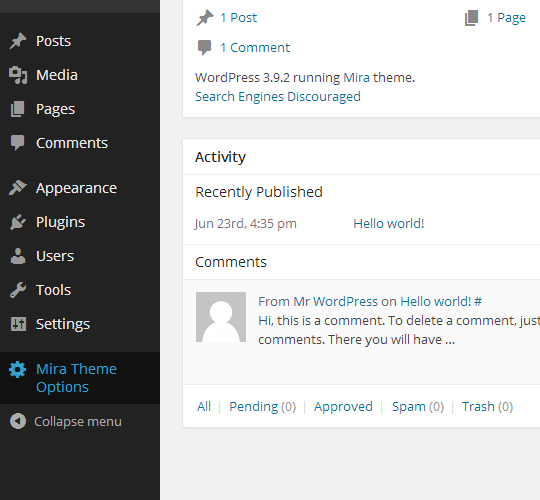 To access the Mira Options page just click on the “Mira Theme Options” item in the left menu inside the WordPress Admin panel. Quick note: Just in case you want to know, the Mira Options page is made using the Titan Framework. The next 5 tabs (Subscribe, The project, Testimonials, About us, Contact) refer to sections (with same names) of the page that can be ordered or disabled. You can also decide the type of background to use for these sections: white or fullscreen image. 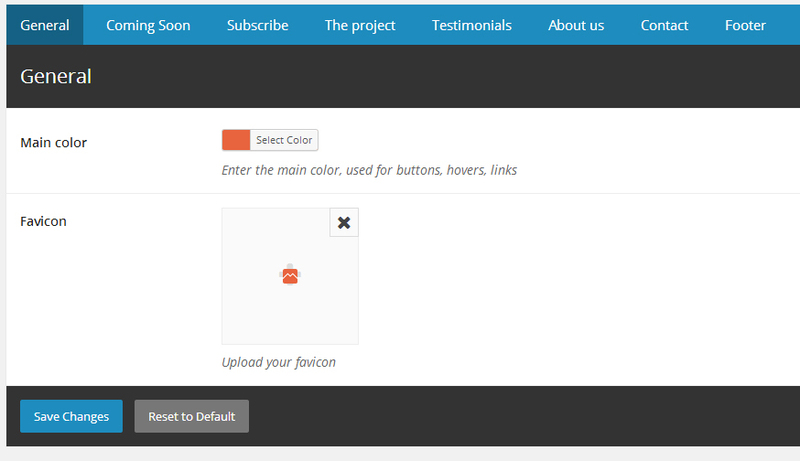 Along with these options you can also customize the text and icons depending on the type of section. In this tab you can enter the copyright text, add the social icons and your social media profile links that will appear in the footer section. For this section I’ve used 25 social icons from the premium icon set “Ultimate Flat Social Icon Set“. The names of these icons (that you can enter in the footer tab) are: twitter, rss, facebook, dribbble, vimeo, pinterest, instagram-1, linkedin, youtube-1, skype, flickr-2, myspace-2, google-plus-1, digg-1, deviantart, wordpress, github-1, stumbleupon, behance, tumblr, feedburner-1, android, apple, email-1, blogger. If you have any question, suggestion or you just want to say “Hello”, leave a comment in the form below! How would we disable the countdown timer, is there a on/off button that i’m missing?. Hi Jamie. No there is not a on/off button but I can help you with that. Send me an email here contact.azmind@gmail.com with the link where you have uploaded the template. What we need to do to remove some of the social links\icons. Example I want to leave only facebook. 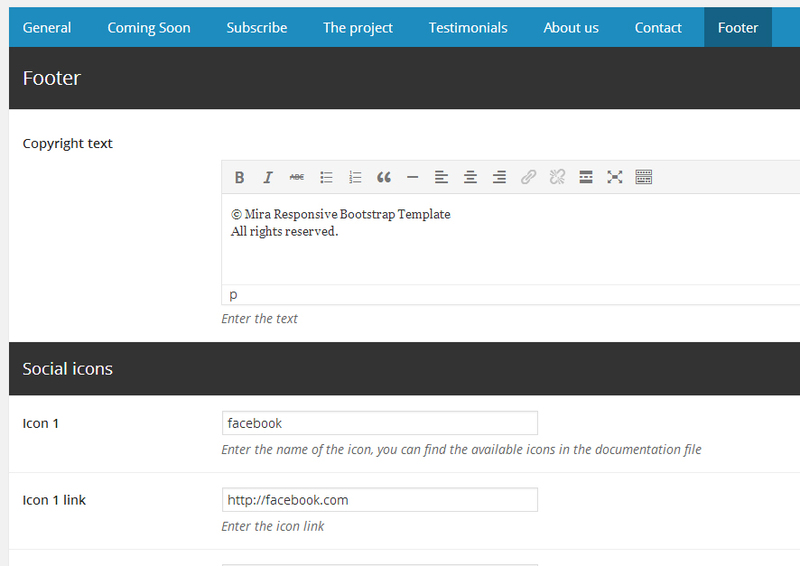 You can change the text in “mira-theme/includes/sections/contact.php”. 3. Roboto font is having problem with Polish “ł” font where font-weight is lower than 300 🙁 Do you have maybe idea where I can find similar font? Hi, I answered by email. The plugin can effect for my wordpress like make slow loading and error page if i try using this plugin. You ‘ve made great work on the theme!! Is it possible to change the subject on the email that is sent to me when someone fills the form or add his/her email for the newsletter? You mean the “New subscriber” text? Yes, I can help you change it, send me an email.